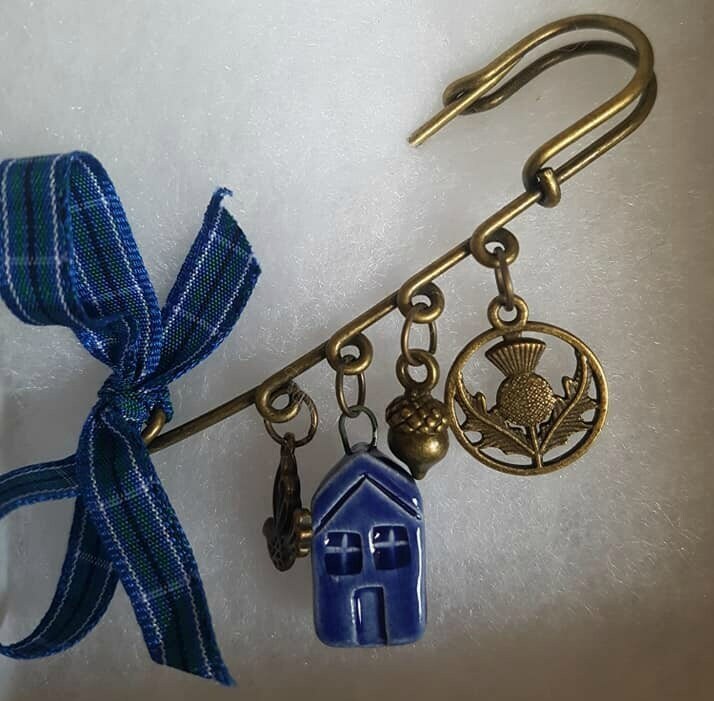 Charming and characterful Kilt Pin style brooch , hand-decorated with an array of Scottish-Themed charms and symbols. 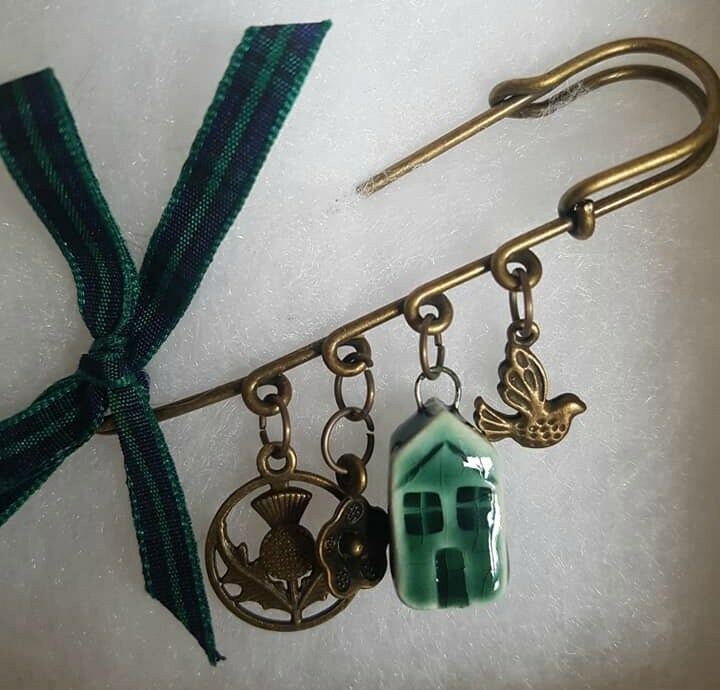 The sturdy antiqued bronze pin features a selection of 3 small metal charms such as thistles, deer, acorns, birds or flowers. 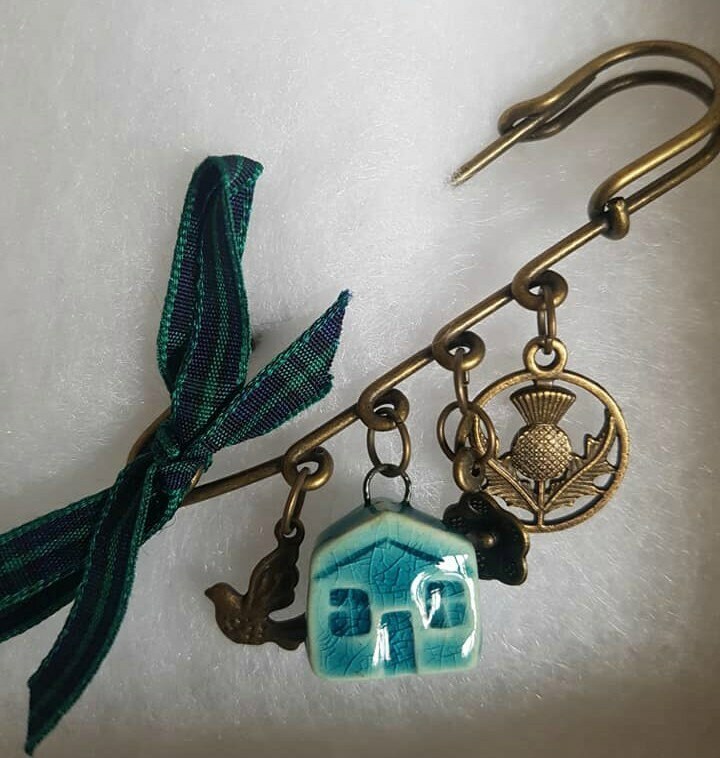 These are each arranged and fully assembled by hand, together with an adorable handmade ceramic house charm, glazed in an eyecatching colour. 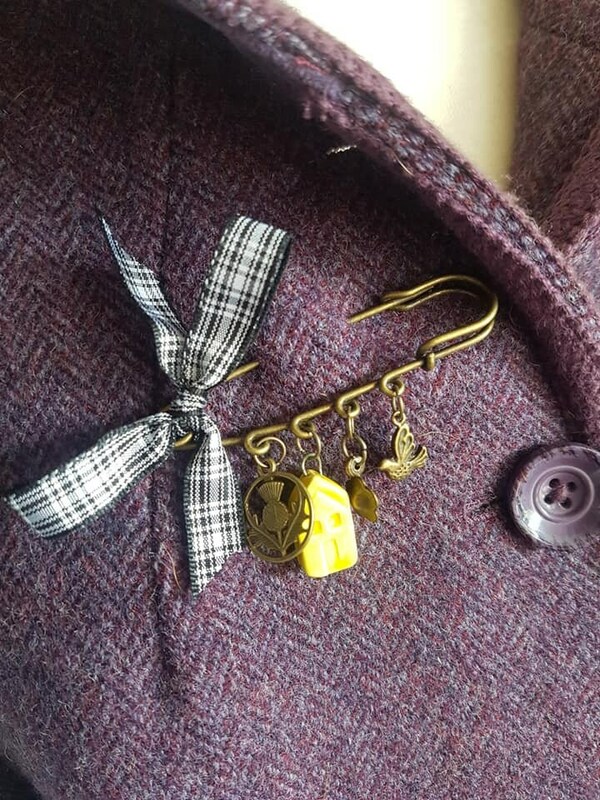 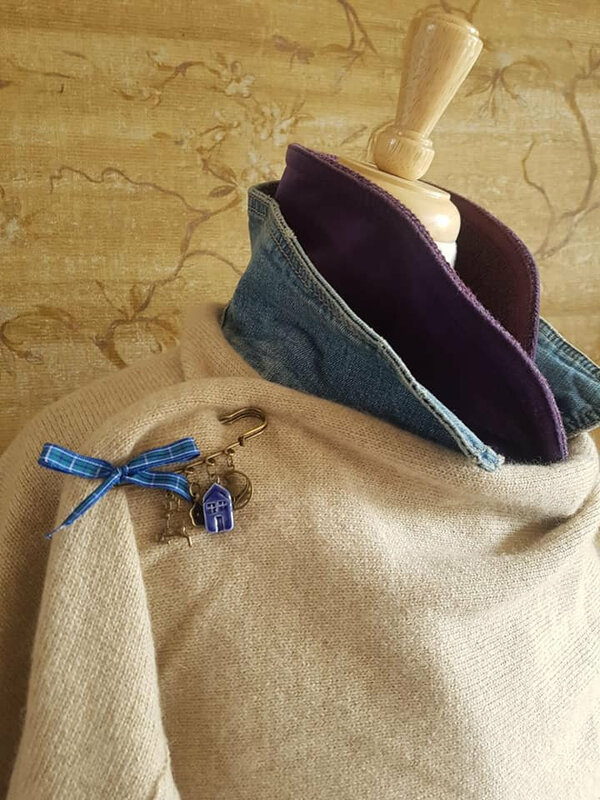 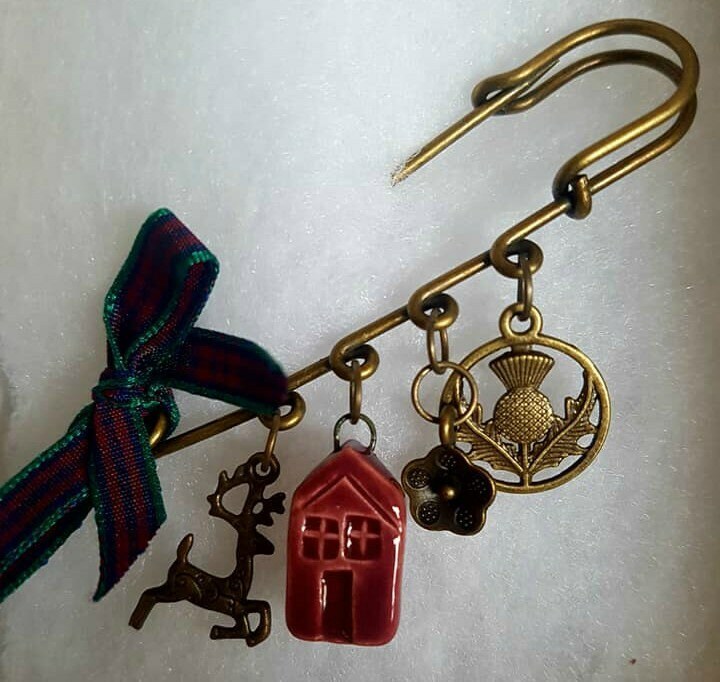 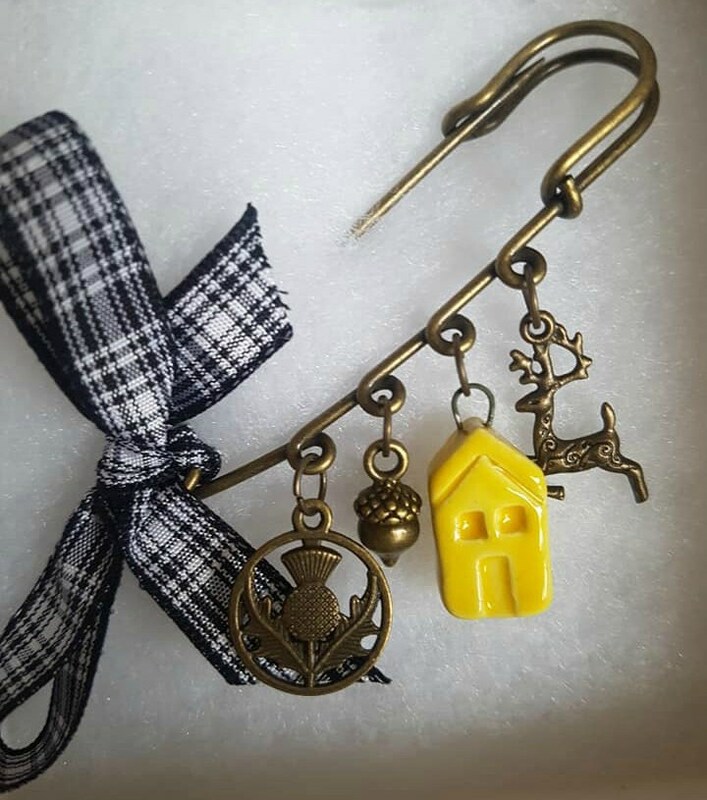 This delightful little accessory is finished with a small tartan ribbon bow. 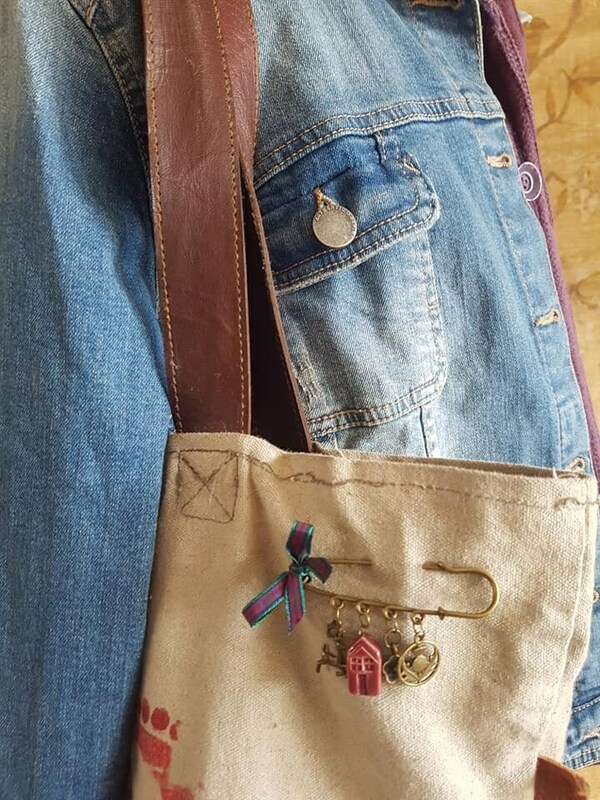 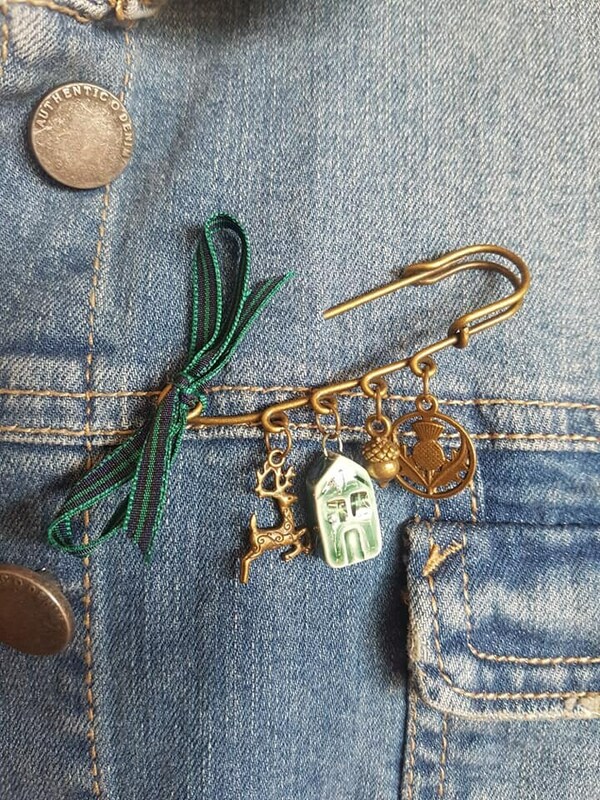 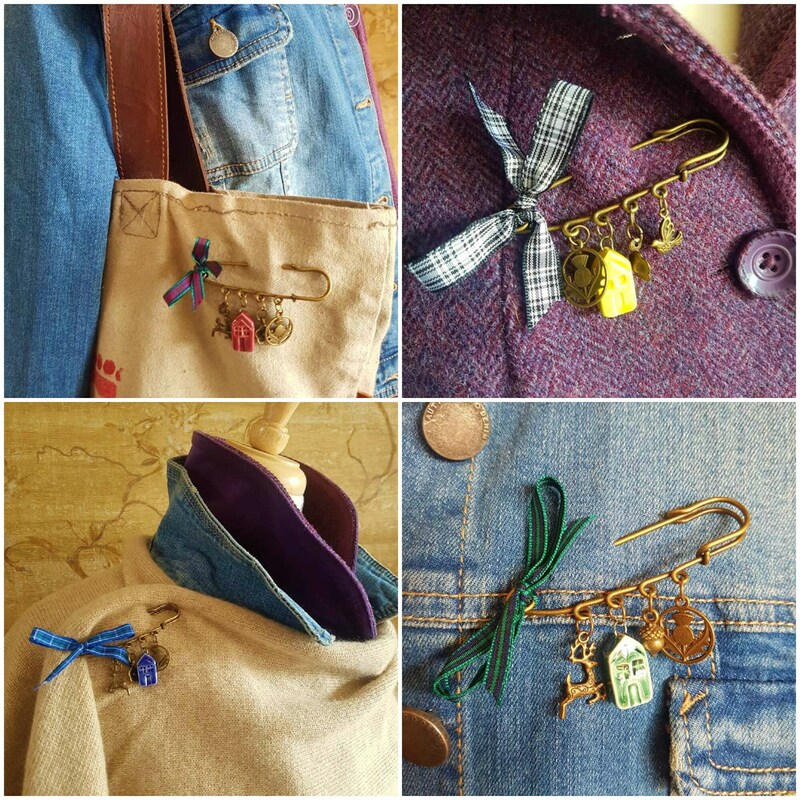 Decorate your lapel, your hat , your scarf or bag - the choice is yours !